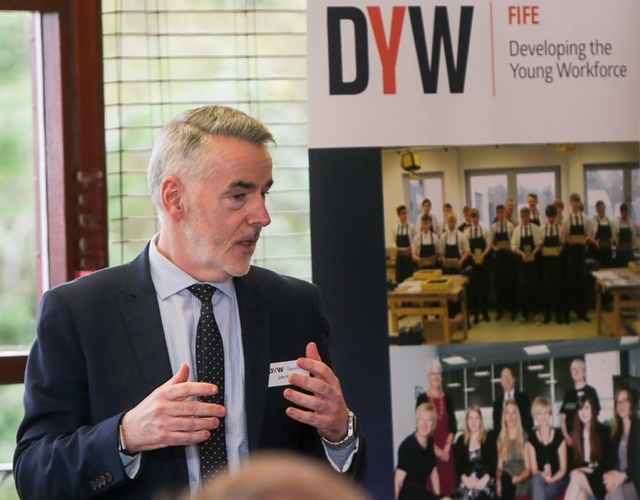 SUPPORTING new and established was the theme of this year’s Fife Business Week attracting around 700 attendees to more than 30 events across Fife. This was an increase of more than 160 visitors from last year. Now in its seventh year, Fife Business Week again proved to be the highlight of Fife’s business calendar. Running from 7 to11 November, the variety of sessions on offer to entrepreneurs, businesses and employers was wide-ranging with fresh insights into workforce development, finance and strategy and digital connectivity. Other events included a business breakfast with Paul Wheelhouse MSP, Minister for Business, Innovation and Energy, who was guest speaker at the event organised by Fife Economy Partnership. Mabbett, a leading independent environmental, management systems, health and safety consultancy and engineering firm delivered a seminar on the Revised ISO14001:2015 Standard to explain the key differences and new additional requirements necessary to meet the Revised ISO14001:2015 Standard. Topics including food safety legislation, waste regulations and health & safety and how to manage absence in the workplace all featured in events across Fife while ManagedIT Experts Ltd ran a session at Dunfermline Business Centre called Get More Done featuring top tips to make the most out of IT. Fife Business Week 2016 was hosted by Fife Council’s Economic Development Team and Business Gateway Fife on behalf of the Fife Economy Partnership, with the aim of supporting businesses to success whilst making Fife the best place to do business.